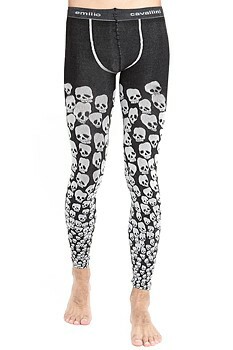 Leggings + Men = Meggings! 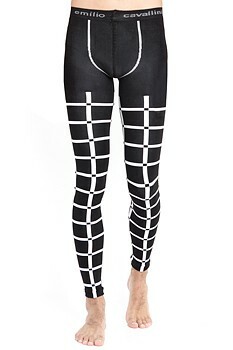 Men’s leggings are without a doubt one of the best things that could happen to men’s fashion: ultra-comfortable and extremely versatile, meggings are increasingly appreciated by fashion icons and celebrities worldwide. Discover the stunning Emilio Cavallini’s collection of leggings for men, and choose among our selection of basic and patterned styles. Our unique and fun patterns, available both in the black-and-white and in the black-and-grey color combination, will surely make your legs stand out from the crowd! Wear them for a jog in the park, at the gym, or just to give your everyday outfit a fashionable and original twist. Moreover, their innovative and ultra-comfortable stretch material ensures a perfect fit, allowing you to move freely throughout your day.